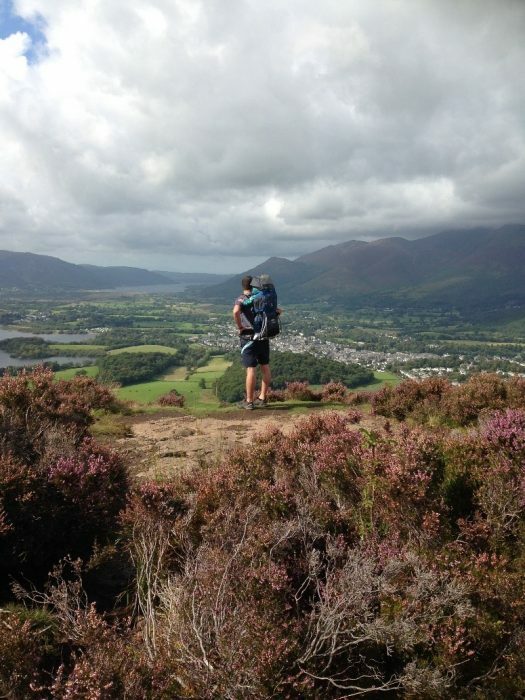 Castlerigg Farm Camping and Caravan Site is set nearby to the beautiful Lake District town of Keswick. The site offers spectacular 360-degree panoramic views of the lakes and mountains, as a result the field is gently sloping so some units may require levelling blocks. there’s no loud music allowed at any time – we are not a music festival and for some guests loud music can spoil their peace and relaxation. 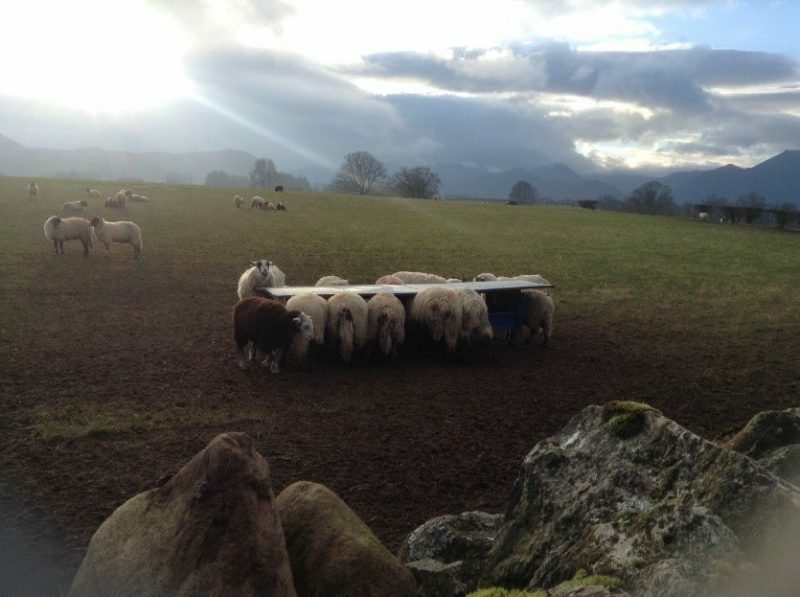 We are situated in the heart of the Lake District countryside and therefore we can’t help the sheep or dogs chatting on the neighbouring farm (approximately 1/2 mile away). We are also not responsible for babies crying or people snoring. Look after children, remember, your children are your responsibility and for their own safety you should know where they are and what they are doing always. For safety reasons we do not allow children to ride bikes or play on the road in the area at the front of Reception. Safety and security for our visitors is important to us, we have a 5 mph speed limit throughout the site. The front of the toilet block is a pedestrian area. For safety reasons no vehicles, bicycles, skateboards etc are allowed in this area. We allow well behaved dogs, but they must always be on a lead and accompanied by an adult, Please don’t leave them unattended in your unit for long periods of time. Consideration for site staff and fellow campers is essential. If the Site Warden ask you to keep your voices down, please respect the request. 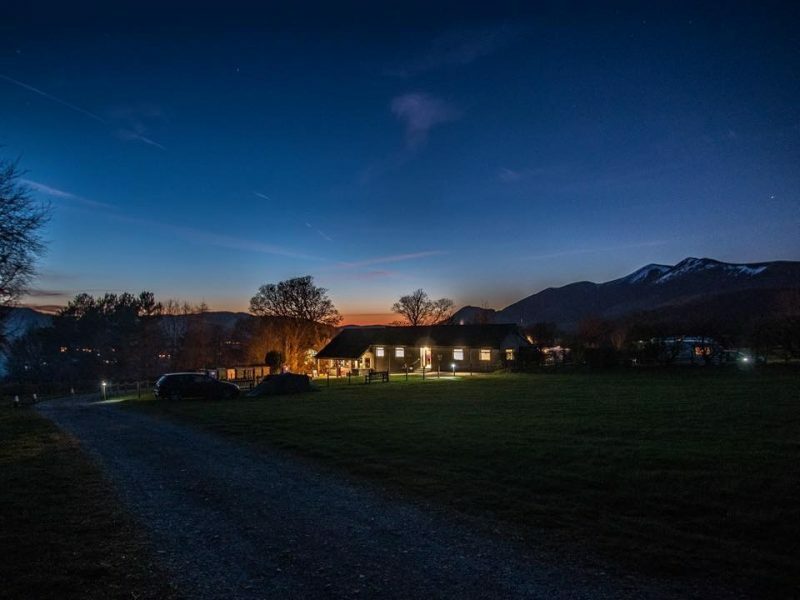 Castlerigg Farm Caravan and Campsite is run by the Skjolde family who live on site. To enter the site everyone passes the family home, so please remember this and enter the site quietly after 10.30pm. We are a caravan and campsite that’s great for families, couples and singles. Sorry, but we don’t accept groups and we prefer not to encourage couples, families or singles to group together as this has the potential for creating excess noise, which spoils the peace and tranquillity of the Lakes District for our other guests. Sorry, no reservations are taken for camping, which is on a first come, first served basis. We don’t reserve pitches or allow visitors to save pitches or put up tents for family and friends arriving later, even if they plan to share your unit. Camping reservations are taken for school groups doing D of E awards only but not on Bank Holiday weekends. Reservations are taken for caravans, motorhomes and tents with electric hook. Tents without electric operate on a first come first served basis. Reception is open from 8.00am to 9.30pm and last registration on to site is 9.30pm. We don’t provide a 24-hour service. If you require emergency assistance outside opening times a contact service is available via intercom located outside Reception door. Castelrigg Farm shop adjoins Reception and provides all your caravan and camping essentials, as well as mobile phones on charge, gas exchange, or change for showers. There’s also a stock of locally source treats and crafts. It has its own opening times and when the shop is closed it is not possible to purchase items via Reception. The Hayloft Café Bar and Bistro provide freshly cooked homemade food from a hearty breakfast to a wholesome evening meal. Also serving a selection of alcoholic and non-alcoholic beverages including local Ale. The site is situated in the countryside, we are not on mains water and we must carefully monitor our water supply. To save water we use push top taps. We ask all visitors to make sure taps have stopped running before they leave the buildings and supervise children to avoid water wastage. Although the main gate closes at 10pm, and vehicles are discouraged from entering the site after this time, we are happy to arrange for people with walking difficulties, or other genuine reasons, to bring their vehicles on to site. Please ask at Reception for details of late entry. The gate opens each morning at 8.00am however an emergency exit for vehicles is always available. It is possible to leave the site in your vehicle before 8.00 am, just ask at Reception for more information. Access on foot to and from the site is always possible. A bus service between Keswick and Ambleside passes the lane end every hour and runs from 9.00am to 7.00pm. 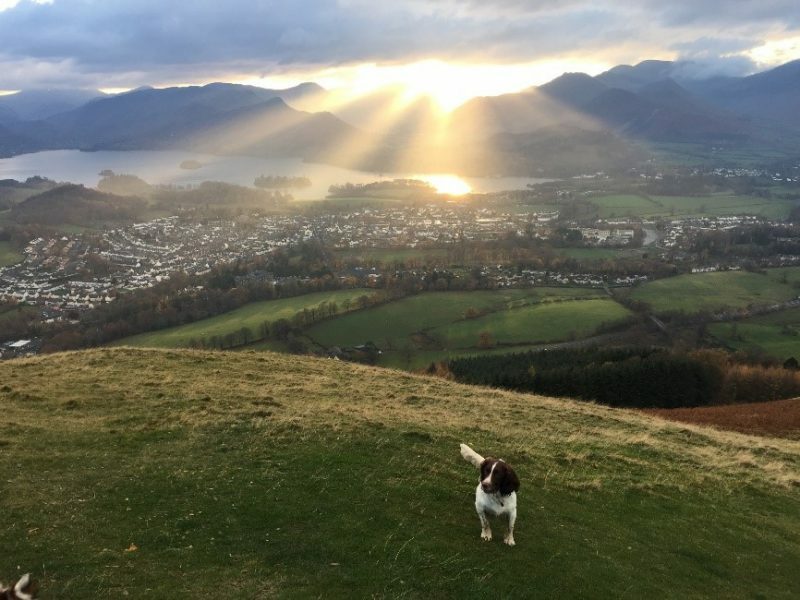 From Keswick you can take a connecting bus to Penrith where you will find the nearest train station. For more information on bus times Tel: 0871 200 22 33. Davies Taxis also run a service from Keswick, for more information Tel: 017687 72676. Guests of guests are welcome but please, anyone entering the site, even day-visitors or visitors staying for a few minutes must inform Reception before they enter any part of the site. Your guests will need to vacate the site no later than 9.30pm. Some parking is available outside the site gates, but this is for site customers only, not for day-visitors. Please click here to read our Access Statement.